Today, increasing numbers of cycling enthusiasts are opting for a comfort bike over traditional mountain and street bikes. The reasons are obvious. Apart from being a health machine, these bikes are also known to provide the riders with a touch of relaxation and thrill. The ease of access, comfortability, style quotient, and durability are some of the features that have made these comfort bikes stand apart from the rest of the bunch. Whether you are a beginner or a pro, riding a bike over a smooth pavement and feeling the whish of fresh air beneath your hair is an amazing feeling. For the novice riders who want to enjoy the thrill of riding a bicycle, a comfort bike could be the best choice because it is incredibly light, easy to ride, and takes biking comfort to another level. Comfort bikes are so popular because they are very simple to use. 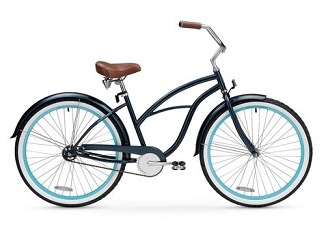 With a frame designed for comfort, sophisticated seats, a laid back riding position (which is easy on your back), wide tires, and a smooth suspension, a comfort bike is for sure a riders delight! In its entirety, bicycling has many benefits apart from having fun. It starts with increasing muscle tone to improving one’s stamina, from burning calories to getting a cardio workout, all of this can be achieved by cycling regularly. Depending on what you want to achieve through cycling and the level of comfort you need, you should choose your bike carefully. If an easy comfortable ride is all you’re looking for, then there’s nothing that compares to a comfort bike.